WordPress is one of the most popular CMS engine out there, roughly around 33% of the websites on the internet right now (check the latest WordPress numbers in w3techs). Having such a huge market share makes WordPress a popular engine to hack. Being a popular engine to hack does not mean its insecure. When a vulnerability is discovered, the entire WordPress community jump into action to get that patched. This is a something you don’t get with an off the shelf product, or even a small unknown content management system. To promote better security, WordPress 3.7 introduced background auto updates. By default, they limit it to only minor releases, but this is enough to provide security patches to the WordPress core. These WordPress updates are crucial for the security and stability of your WordPress site. Not following the updates is what makes WordPress insecure. You need to make sure that your WordPress core, plugins, and theme are up to date. We must follow the WordPress updates, OK! There is no alternate path, OK! We all have read plenty of blog posts about this subject. But then why? Why we see the pending updates red notification and don’t take action? There are a lot of potentials for the WordPress site to break. There are infinite untested explosive plugin combinations. There is no easy rollback when things go wrong. You deserve to feel safe with ease of updating. In a copy of your live site. With an easy, instant and without wasting time following how-to’s. you will defer the task to a moment with more time (never). If you understand all these points, we know you would perform the WordPress updates. At this point, we accept this responsibility. 1 click staging/playground environment: 1 click & 0 configs. It gives you a fast copy of your entire server where you can test upgrades without compromising your production site. 1 click to promote changes from staging to production. It saves you time; all your work done in a staging server can be promoted to production in seconds. 1 click & 0 configs to Backup and recover from disasters. When you are under the pressure of an unexpected problem, or White Screen of Death, or worst, an intrusion! There is no place for complex technical procedures. It helps you a lot to restore a backup in an entirely new server with a single click. We all can imagine that security responsibilities do not end in the WordPress application side. Server software and network infrastructure are also major contributors to what we call Attack Vectors. A robust infrastructure helps you to lower this vector angle. What makes a robust infrastructure? Continuous security updates for every piece of software in your server and network infrastructure. Does it resonate you? Active prevention. Not just standard network firewalls. You need firewalls capable of learning from external sources, and Web Application Firewalls well trained to understand and protect your WordPress from potential security leaks and attacks. 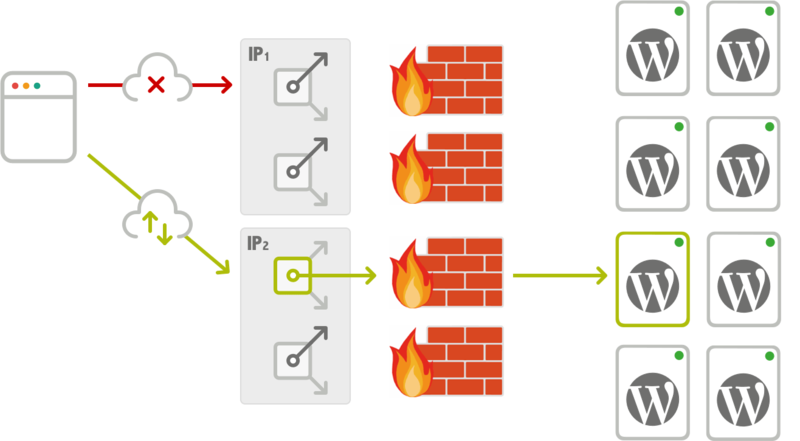 Redundant external WAF (Web Application Firewalls). It Prevents the bloating and resource usage of all firewall plugins. Real-time blacklisting. It updates blocking lists every minute from security IP Feeds related to online attacks, online service abuse, malware, botnets, command-and-control servers, and other Cybercrime activities. This feature, only available in Premium Plugins, is included in all wetopi plans. Shared Learning: WAFs monitors traffic across the entire network and inherits those learning automatically into our infrastructure. WordPress will avoid non-legit traffic thanks to the real-time experience of other thousands of wetopi domains. Wetopi automatically shields your WordPress from hackers even before an attack takes place. Dual network. When networking problems such as flood attacks or Denial-of-Service collapses one route. The website will have an alternate path. When browser pool connections pointing to IP1 address fail the second IP2 address is used to reopen new connections and serve your requests. Upgrade your server with the ability to rollback in seconds. 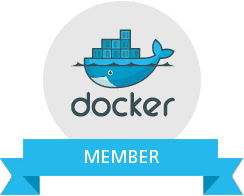 When upgrading your WordPress server, we use docker images. If a new version fails, it automatically rolls back to the previous server version. Now you can forget about server updates and rest easy. You will never see the WordPress White Screen of Death when new server software releases break your site. Malware monitoring. Monitoring site activity to identify any compromised sites.